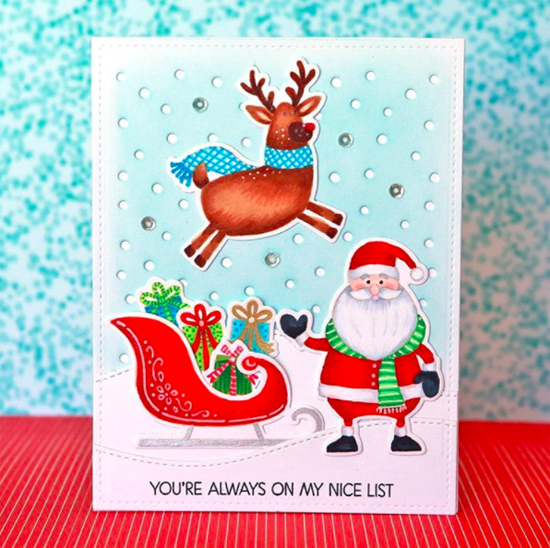 Suzy created this adorable card featuring our Merry Everything stamp set and Die-namics with some SPLENDID no-line coloring. The Snowfall - Vertical Die-namics creates the perfect background. 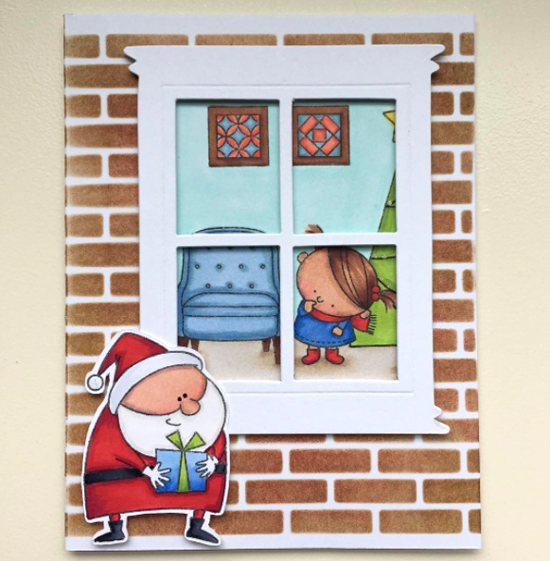 Kathy's cute card features several stamp sets including Jingle All the Way, Make Yourself at Home, and Santa's Elves . The Small Brick Wall stencil gives a realistic air to her scene. 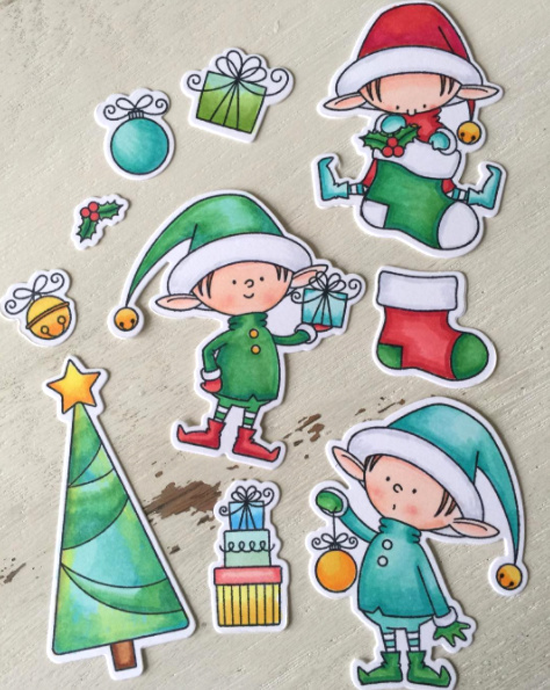 Julene has been busy coloring up these cuties from the Santa's Elves stamp set. Great job, Julene! 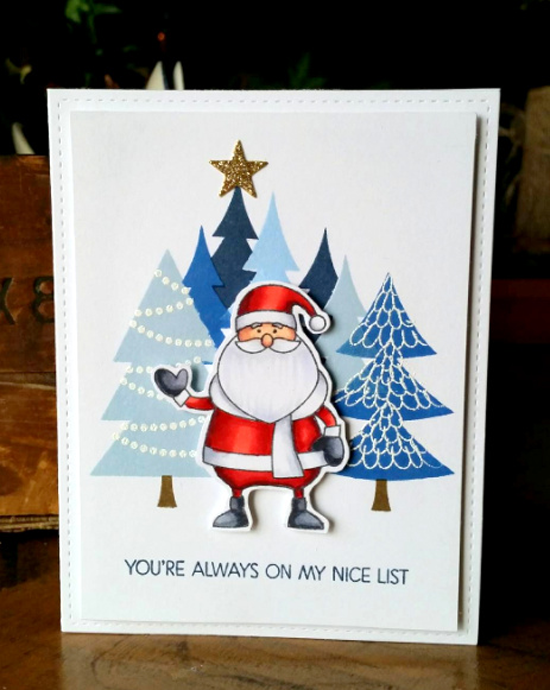 The sweet Santa from our Merry Everything stamp set looks GREAT with a fun masked background in shades of blue using our Oh Christmas Trees stamp set. Well done, Rebekah! The Jingle All the Way Santa and reindeer are making a visit to NYC on Amy's cool card. I love the glow of the Streetlights Die-namics as the snow softly falls on the city. Thanks for using MFT, ladies! You've left us inspired, and that's what it's all about! See you tomorrow for another great Sketch Challenge, and look for the next MFT Color Challenge this Thursday, December 22nd. Thank you so much for the recognition! Love these little elves! Love the creations and the inspiration from the others!